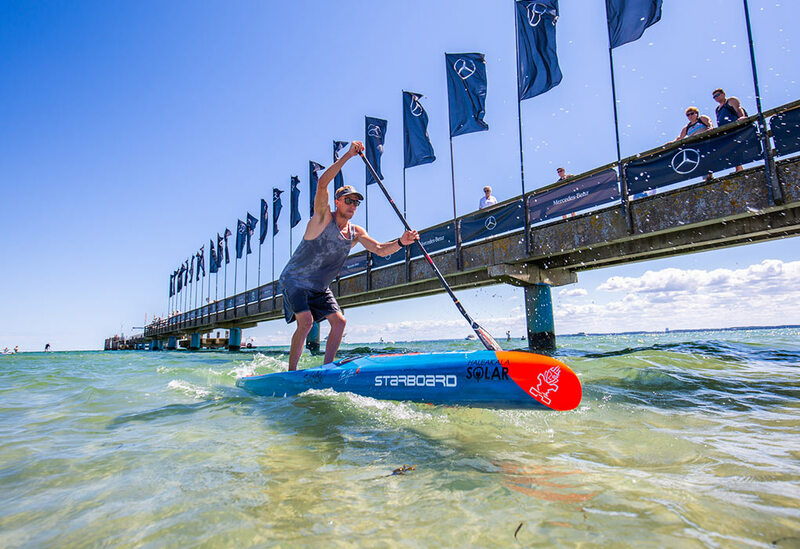 The all-new 2019 Sprints offer instant acceleration, direct turning and controlled stability. 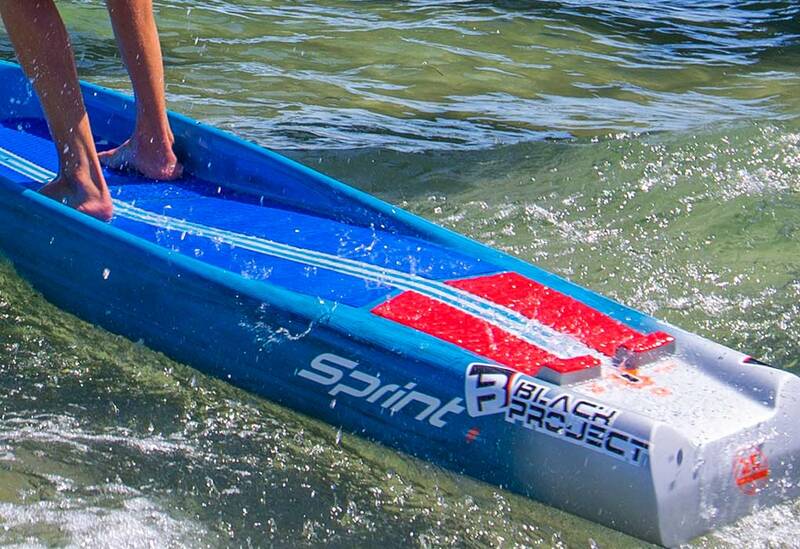 The Sprint is hands down the fastest race board we ever produced. Refinements in the standing area increase the overall comfort and control, while the improvements in bottom shape upgrade the overall stability and speed. Only Available in the lightest, fastest and strongest Carbon Sandwich Technology. reduces pitching and cuts through the water for top end displacement speed. 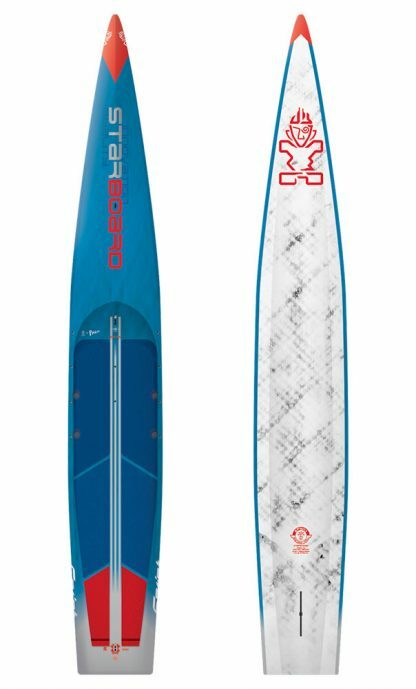 12’6”x23” & 12’6”X21.5” models feature a much squarer sharper nose profile for greater lift and release in choppy water. 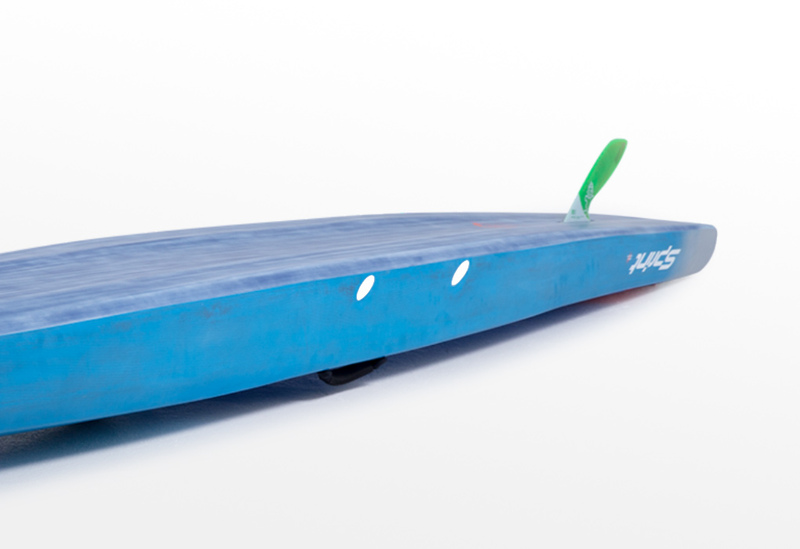 with sharp centre nose ridge and angled rails limits water wrapping the nose for a more stable ride, while reducing drag and water weight entering the tray. 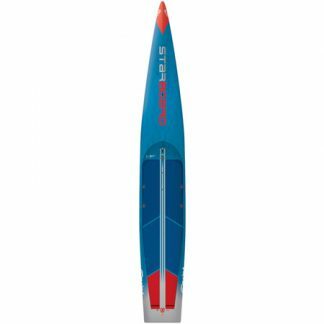 – Provides greater float to reach speed quickly on flat water. 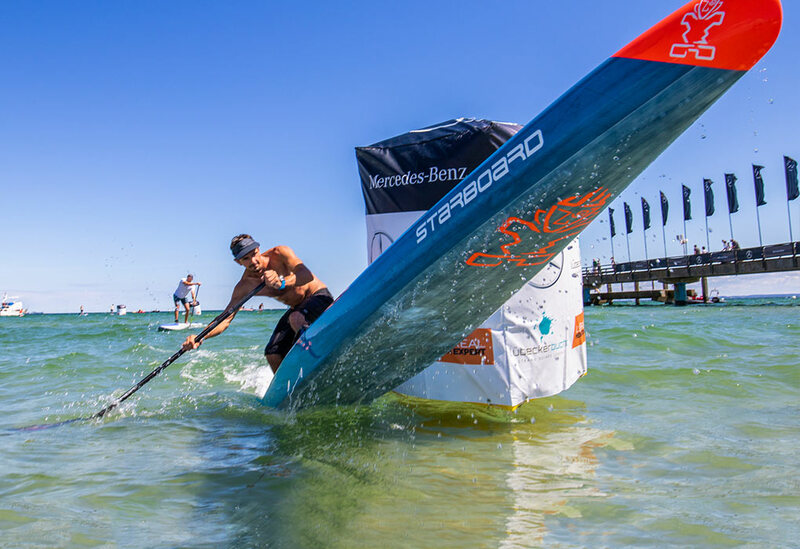 – The fuller nose limits pitching in choppy water, giving more pop and release, allowing the rider to keep a steady cadence. 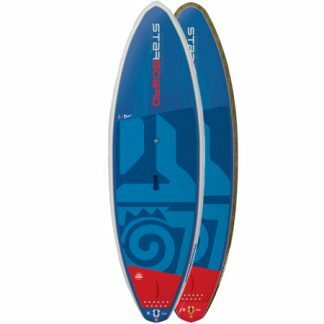 provides secondary stability to restrict the board from rolling. – The planning surface is reduced by nearly 20%, increasing the glide and overall speed. – Reduces the board from rolling. – Blocks water from entering the tray. 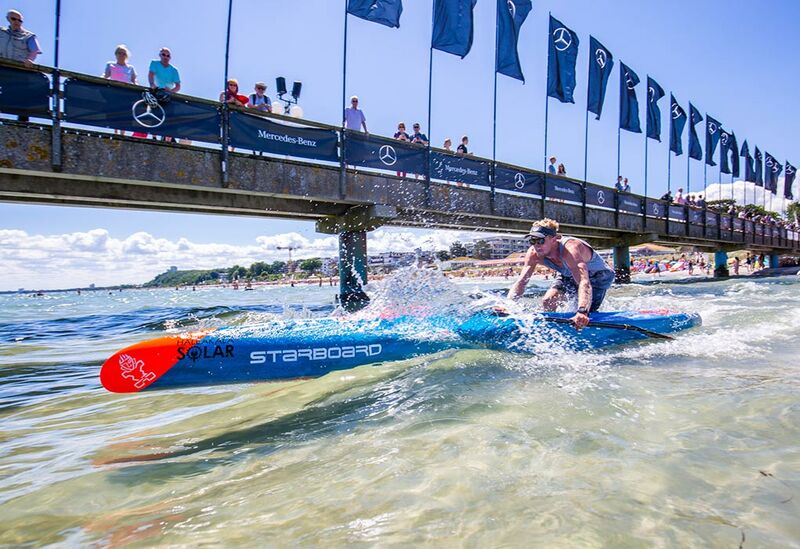 – Lower standing position increases stability due to the lower centre of gravity. – New extended flat standing area provides more space to change stance when sprinting and trimming. – Limits the board from yawing from nose to tail and instead balances the glide. – Blocks water entering the tray on powerful downward strokes, propelling the hull forwards as it lifts on the upward stroke. 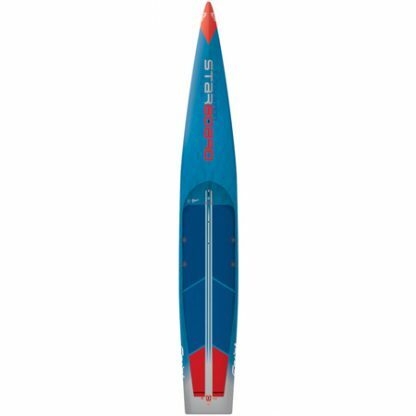 – Thicker profile makes it more versatile to handle choppy water and more challenging conditions. 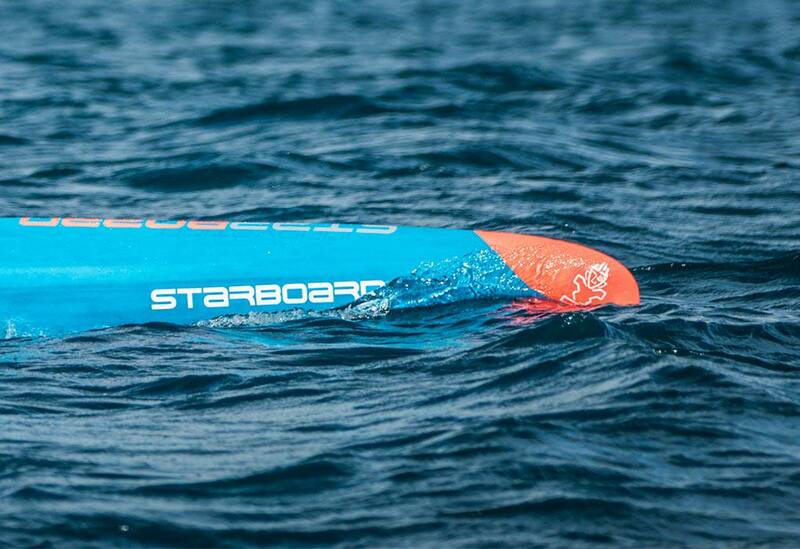 – The closed tail restricts water from flooding the tray when buoy turning and surfing, resulting in quicker acceleration and speed out of turns. – The 12’6”x23” & 21.5” both feature a wide squaretail outline which helps propel the board forwards in choppy water. – Makes it easier for trimming and buoy turning when stepping back on the tail. 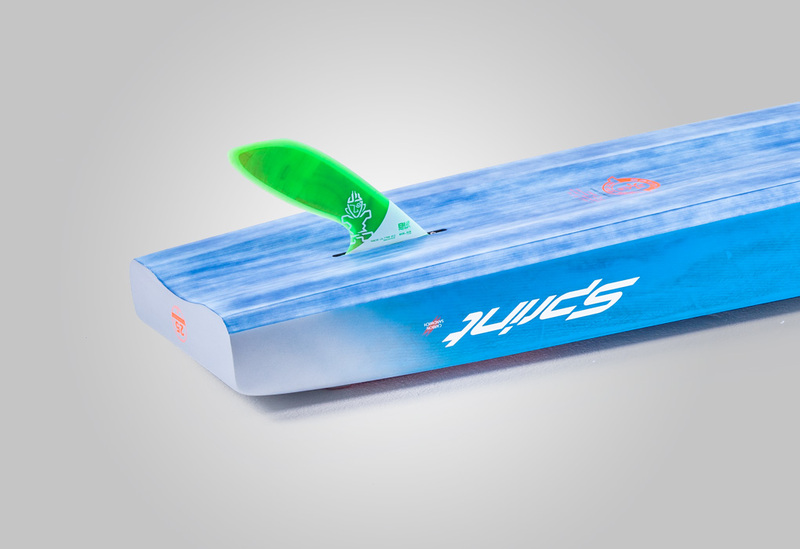 – The peak of the tail acts as a moulded tail kicker for comfortable and precise foot positioning to drive pivot turns. 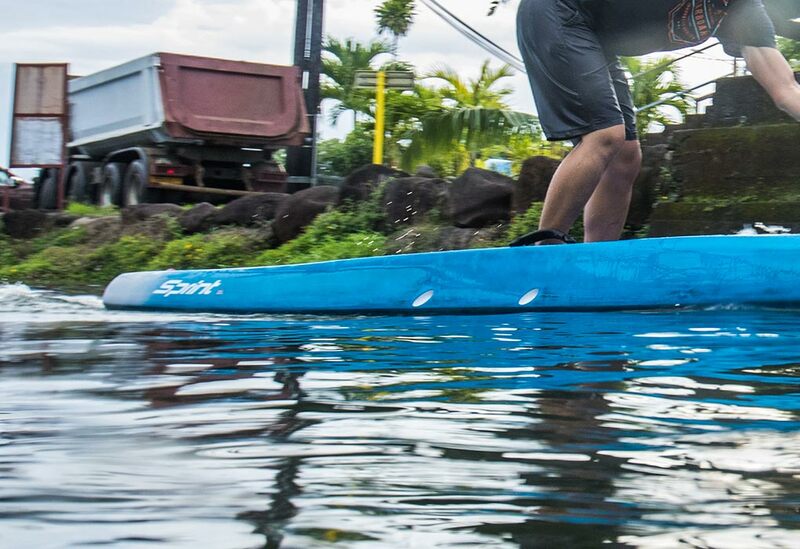 – Flatter tail creates a smooth release with less wake making it harder for others to draft. 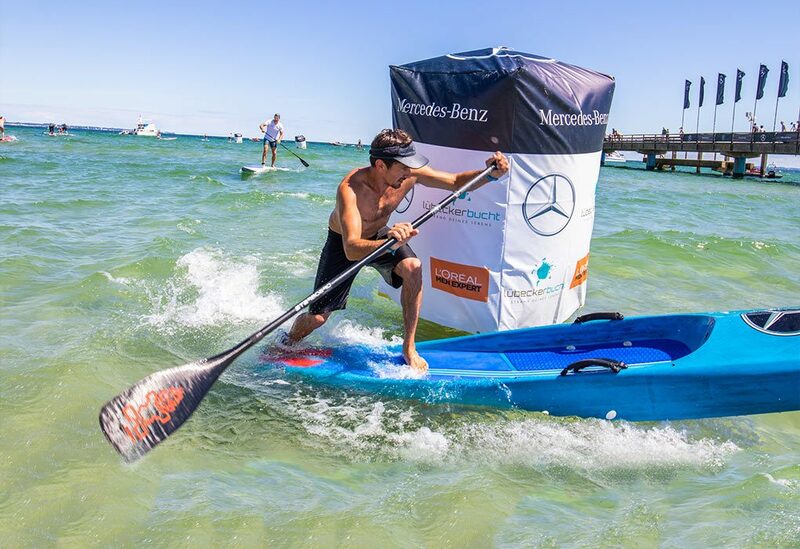 – More tail rocker makes it easier to lift the nose in downwind. – New 12’6”x23” and 21.5” have a lower tail profile to make it easier to sink when buoy turning and more control when riding the tail downwind. 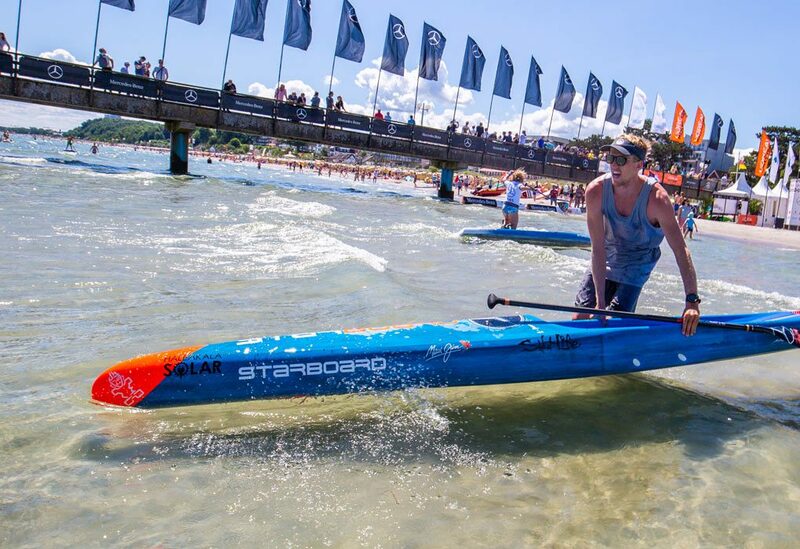 to find the perfect grip for running beach starts. exhausts flush water out of the tray reducing excess water weight. 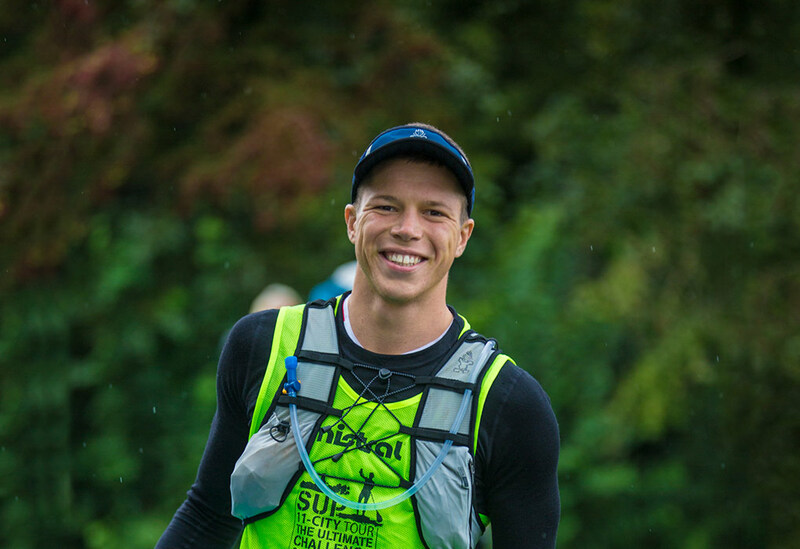 Race Ultra 2.0 Fin supplied with all sizes for more direct tracking and stability. 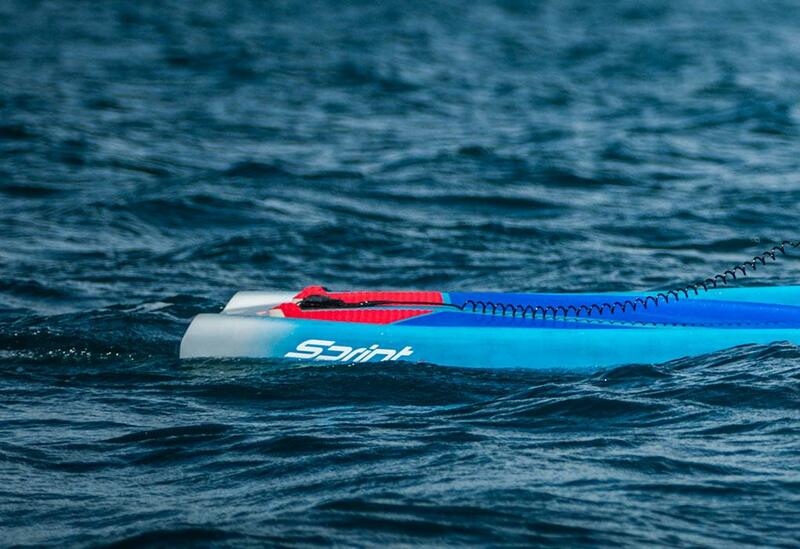 – The Sprint is available inthe lightest and strongest race board construction we have offered. 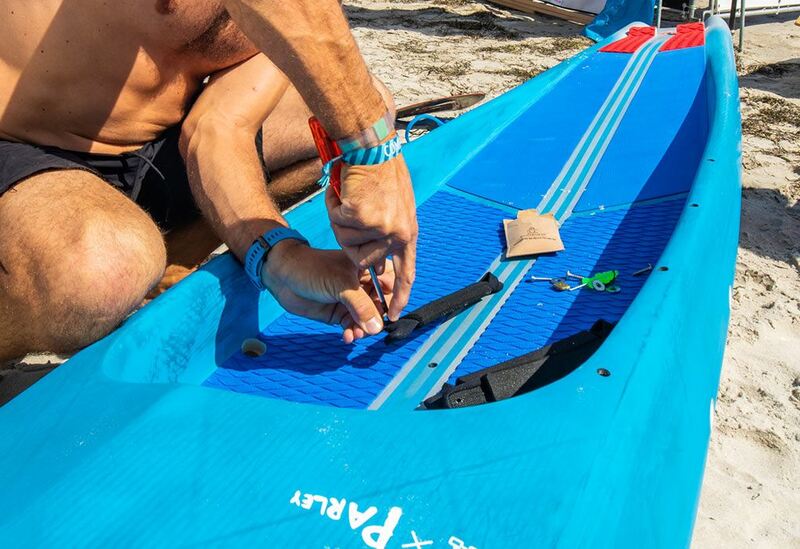 – Super light-weight biaxial carbon is laminated over the entire hull for the lightest weight, best strength ratio and most efficient flex. 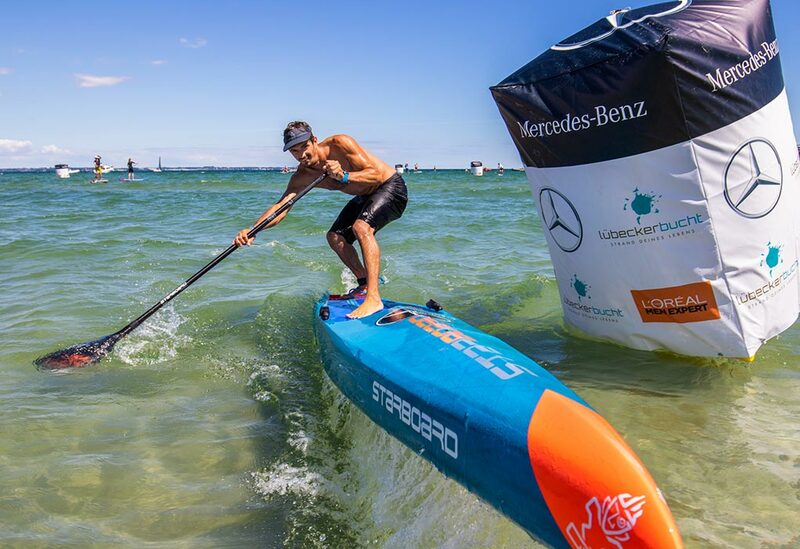 – The mid-section of the board has stiffer UD carbon side stringers to maintain the rocker in the critical area, thus optimizing glide. 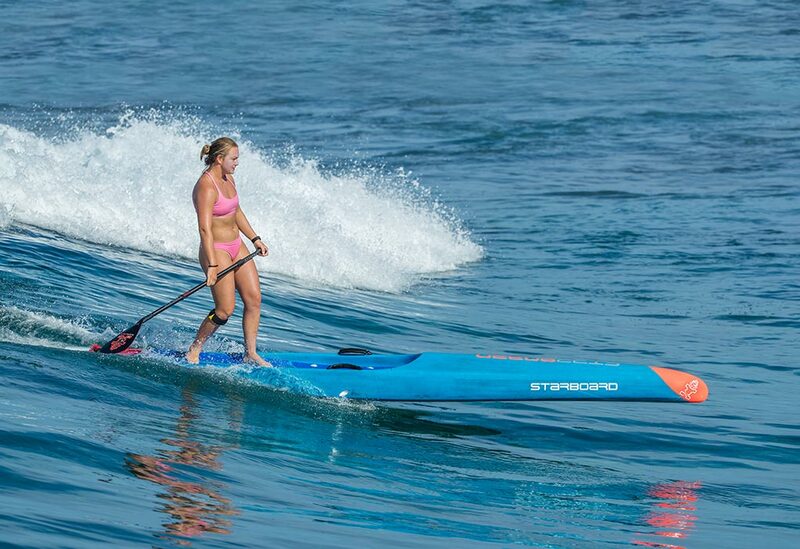 “The Sprint truly offers you the feeling of glide that you have been always looking for. 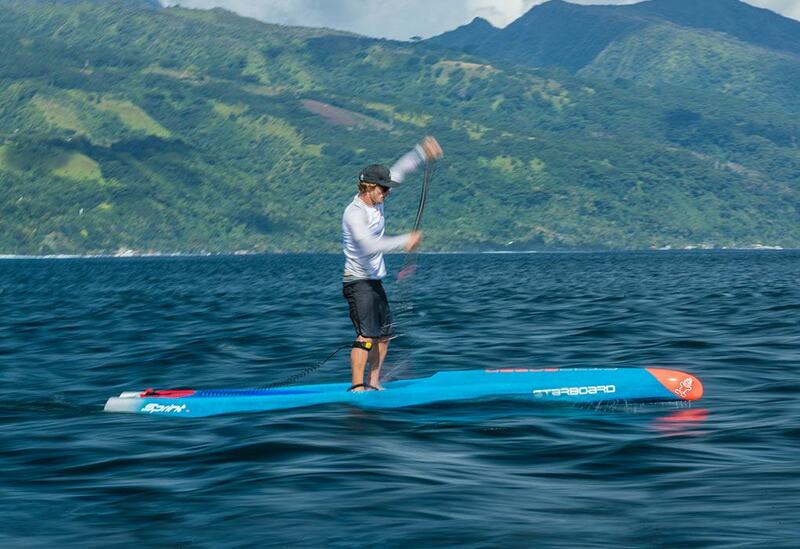 It feels like paddling on air, while cutting through the water, with no compromise on stability or speed.